With one week to go, it’s time to make firm plans for the 2018 Abu Dhabi Grand Prix. And if you were hoping to get your hands on tickets for the race, unfortunately all Grandstand tickets have sold out in record time, with only a limited number of Event Hospitality packages left available. As the eyes of the sporting world look to Abu Dhabi from November 22 to 25, we’re rounding up the best of the action both on and off the track. 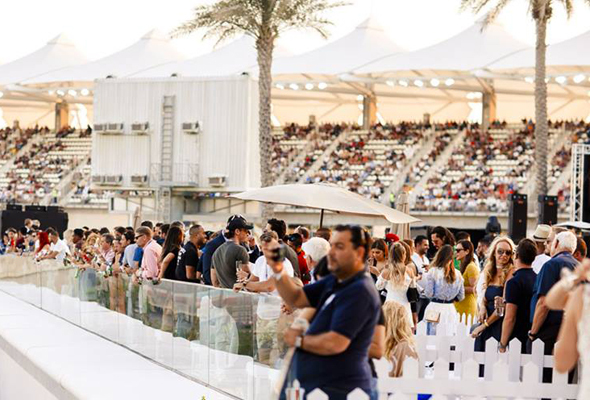 From everything you need to know about the big race to the concerts, brunches and parties that go on before, during and after the race, this is your definitive guide to the Abu Dhabi Grand Prix 2018. 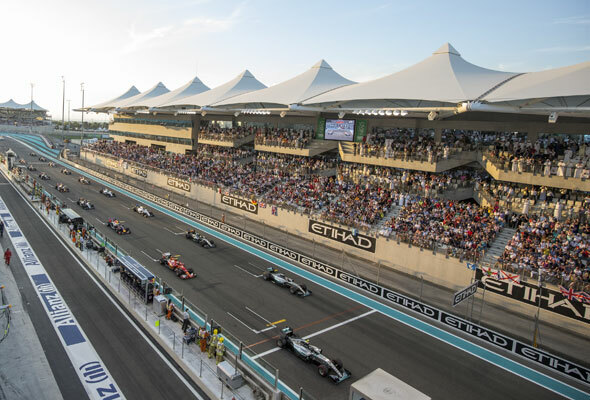 In an ideal world, the last race of the season would end with the championship still up for grabs, and an exciting decider taking place at Yas Marina Circuit – but that’s not the case this time around. British star Lewis Hamilton successfully secured his fifth Grand Prix title in Mexico at the end of October. Second place will go to Ferrari driver Sebastian Vettel, who is currently sitting at 302 points ahead of his Ferrari teammate Kimi Raikonnen, who is currently in third place with only the Abu Dhabi Grand Prix to go. Hamilton’s team, Mercedes, is also way ahead in the Constructor’s Championship, with 620 points (Ferrari, in second place, only have 553 points). 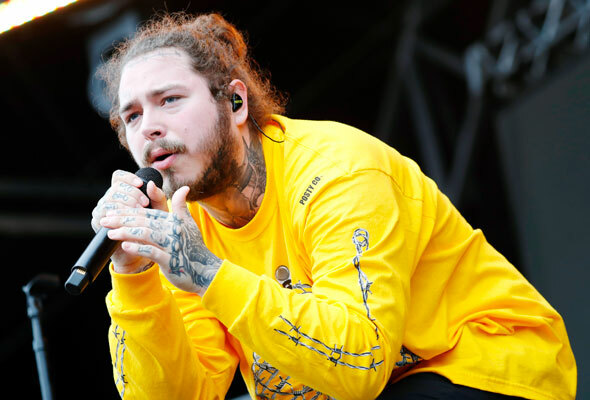 American rapper Post Malone will open the Abu Dhabi Grand Prix after race concerts on November 22. A relative newcomer to the rap scene, Post Malone began his career in 2015 with the release of his debut single White Iverson. The song’s popularity on YouTube saw Malone secure a recording contract with Republic Records, where he went on to work with stars including 50 Cent and Kanye West. The Weeknd is set to perform on Friday November 23 at the Abu Dhabi Grand Prix after race concerts. This will be only the second time the R&B superstar has been to the UAE, after first performing in Dubai in 2014. 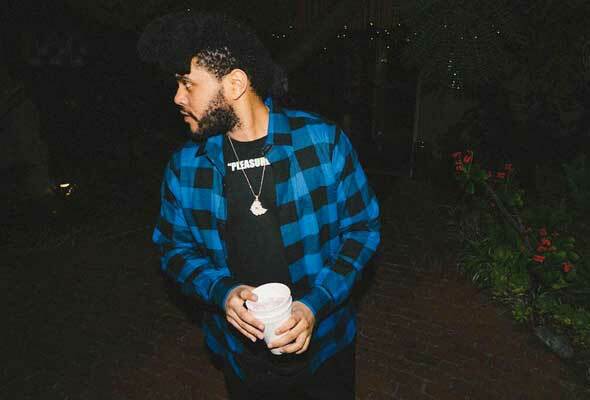 Although he began releasing music in 2010, it wasn’t until 2014 that The Weeknd achieved international fame, working with artists including Ariana Grande and Drake. He’s since had eight Billboard Top 10 hits including ‘The Hills’, ‘Earned It’ and ‘Can’t Feel My Face’ as well as the certified platinum, Starboy. 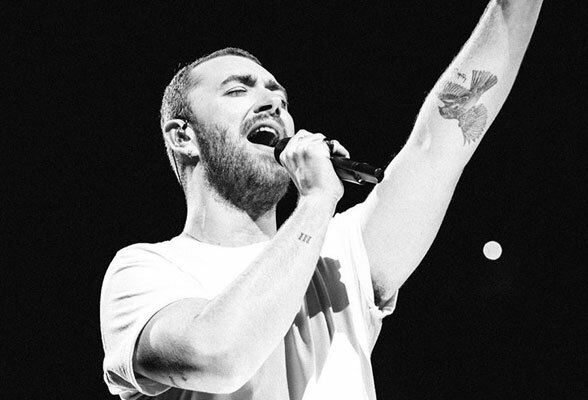 Brit singer songwriter Sam Smith is the third artist performing at the Yasalam after-race concert this year. Set to perform on Saturday November 24, the pop megastar will be bringing soulful sound and heartfelt hits to Abu Dhabi for the first time. First rising to fame as the vocalist on Disclosure’s Latch in 2012, Sam Smith went on to see his 2014 debut album, In The Lonely Hour win him four Grammys and five top ten singles in the UK charts. 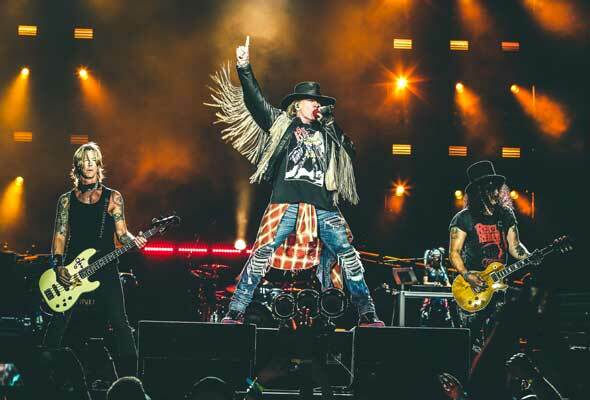 They’ve sold more than 100 million records worldwide and are currently ranked the 41st greatest artist of all time, and now Guns N Roses are one of four acts to perform at the Yasalam after-race concerts this year. Most famous for their hits Sweet Child O Mine, November Rain and Patience, Guns N Roses were last in the region in March 2017, making their Dubai debut at the Autism Rocks Arena. Rock music lovers in Abu Dhabi can expect to see original members Axl, Slash, and Duff take to the stage for the performance. FYI: You can’t purchase the tickets individually for these concerts, as they’re part of the F1 ticket package. This year though, you can upgrade to the Golden Circle package, which provides an up close and personal experience. Prices vary for each concert but start from Dhs195. 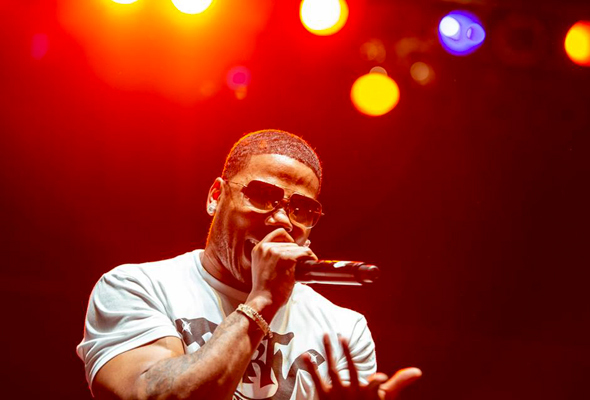 Dilemma hitmaker Nelly will perform at the indoor super club MAD on Yas Island, kicking off a huge four-day line-up at the venue over Abu Dhabi Grand Prix. The award-winning star has had a huge number of hits across his 25-year career releasing a staggering 47 singles across seven studio albums. 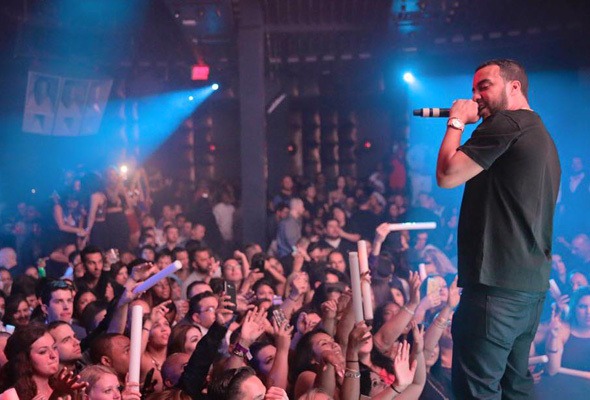 American hip-hop star (and one time ex of Khloe Kardashian) French Montana will follow on Friday November 23. Montana, who has produced two studio albums, began releasing music in 2007 though only rose to fame after his breakthrough in 2010. The three-time Grammy nominated star has since collaborated with rap royalty including Rick Ross, Jay Z and DJ Khaled. 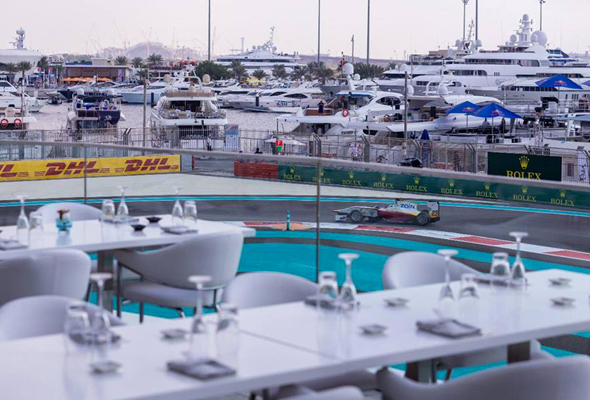 This sports bar’s popular Funch Bunch is moving the party onto the Star Deck outdoor lounge at Stars N Bars for three days of brunching over the Abu Dhabi Grand Prix. Along with the usual fun and games, there will be an all inclusive beverage & bites package for Dhs500 per day from 12pm to 4pm on Thursday, Friday & Saturday. Or, the three day package is Dhs1250. Stars N Bars, Yas Marina, Yas Island, November 22 to 24, 12pm to 4pm, Dhs500. Tel: (02) 565 0101. 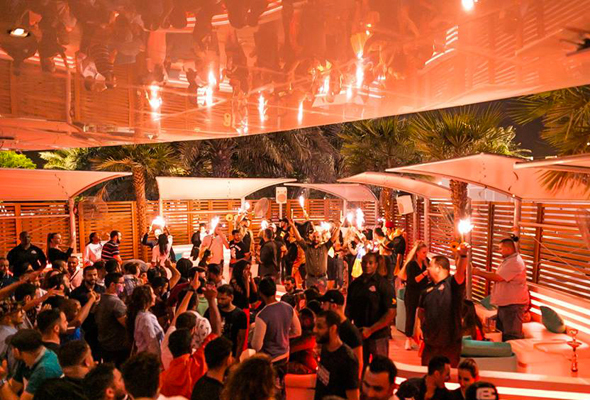 Love Parties, the people behind popular party brunches WeBrunch, Hidden and The Stage brunch have announced they’re taking their famed We Brunch to the Yas Hotel for the second year in a row. Taking over the trackside Atayeb Terrace for two days of party-brunching, it kicks off on Friday November 23 with a double brunch extravaganza. The first seating runs from 12pm to 3pm and is priced at Dhs850 per person, with a second seating from 4pm to 8pm priced at Dhs950. Both include passes to see The Weeknd, who will headline at du Forum on the Friday evening. On Saturday, glam up for a full day with their ‘Ultimate Race Weekend Experience’. Running from 1pm to 8pm, expect a three hour brunch package of international dishes, free flowing premium beverages and trackside marina views, followed by a party on the terrace from 4pm to 8pm, where the unlimited drinks continue. This package also includes concert tickets for the Saturday evening concert, which will see Sam Smith take to the stage at du Forum. Last minute tickets are Dhs1950. 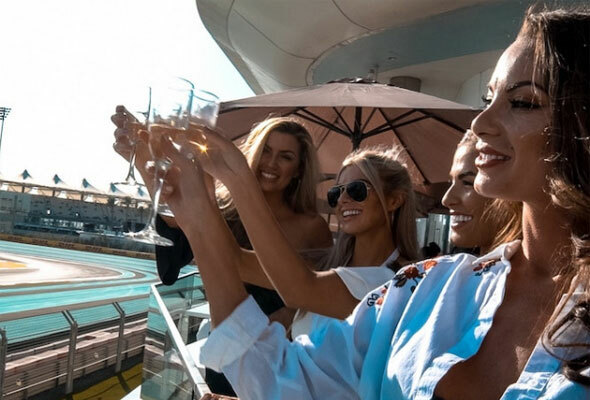 The Yas Hotel has some of the best views of the racetrack, as well as several brunch packages to kickstart your race day. On Thursday, brunch packages start from Dhs450 for a lavish brunch experience at Origins, Atayeb or Kazu, and all include tickets to see rapper Post Malone at the after race concert. On Friday and Saturday brunch prices start from Dhs650 per person for indoor seating and Dhs950 for outdoor seating, with tickets to the respective The Weeknd and Sam Smith concerts included. Finally Sunday brunch tickets for each venue will be priced at Dhs1550 for indoor seating and Dhs4150 for outdoor, with both including tickets to see legendary rockers Guns N Roses. Yas Hotel, Yas Marina, November 23 to 25, from Dhs450. Tel: (02) 656 0600. 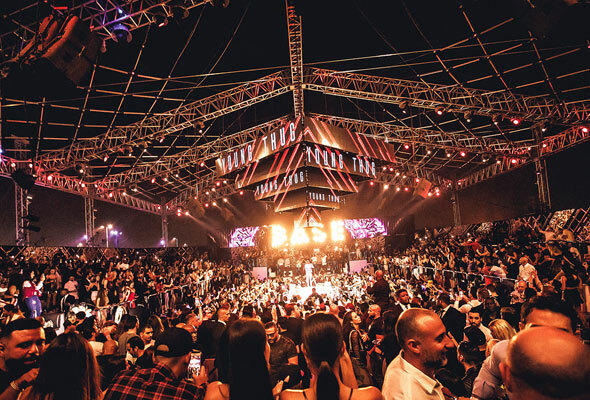 This year, Dubai’s home-grown super-club, BASE will host a pop-up in collaboration with renowned New York nightlife brand, 1 OAK. Located above Cipriani in Yas Marina, the exclusive venue boasts stunning views and is promising some yet to be announced A-list acts too. Base X 1OAK, above Cipriani, Yas Marina, November 22nd to 25, 11pm to 6am, free entry, tables from Dhs7,000. Tel: (056) 681 8881. 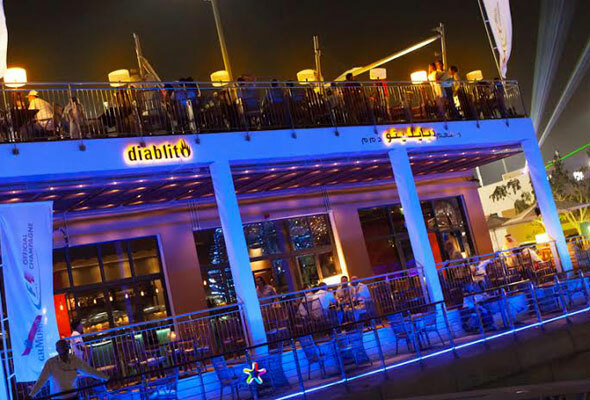 Fancy French restaurant Bagatelle Dubai will be taking over the rooftop terrace of Yas Marina’s Diablito on Saturday November 24 for 12 hours of racing action. Expect a glamorous day accompanied by live DJs including DJ Emir and Sam Starks. Table bookings are strongly recommended. Start your engines! 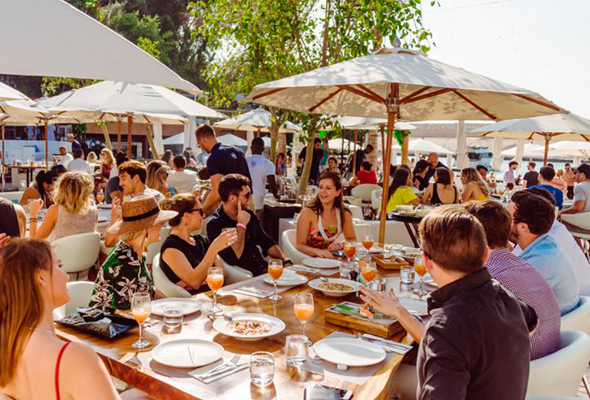 Blue Marlin Ibiza is the second brand to take over the Diablito Rooftop Terrace for 12 hours on race day. The beach clubs resident DJs Frederick Stone, Ai- din Karami, Michka and Sam Starks will all spin, and therewill be a cover charge of Dhs350 for ladies and Dhs500 for guys. One of three exciting new openings making their debut over the Abu Dhabi race weekend is Casa de Cuba. The cool cocktail bar is a collaboration with leading bartender Dinos Constantinides, cocktail legend and owner of the world’s 25th best cocktail bar, ‘Lost & Found’. For the race weekend, the new space will be lending its garden to party brand Candypants, who will be bringing their fun-loving ways to create their own ‘Grand Prix Garden’ over all four days. Best of all? It’s free entry all day. 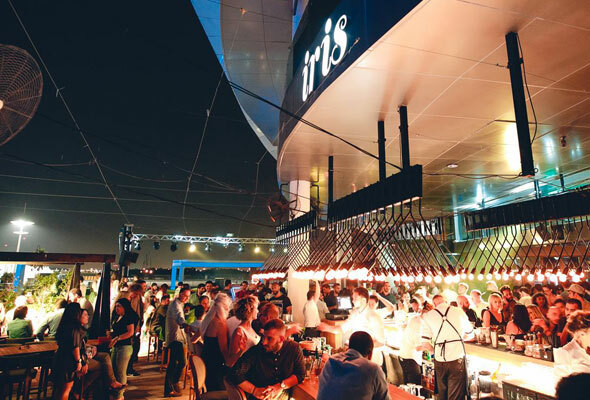 With its idyllic location overlooking the Yas Marina Circuit, Iris is one of the most popular pre and after-race hangouts, hosting sunset parties, evening drinks and DJ sets by some of the most renowned names in the industry. This year, names on the bill include Erick Morillo, Roger Sanchez and Joseph Capriati.